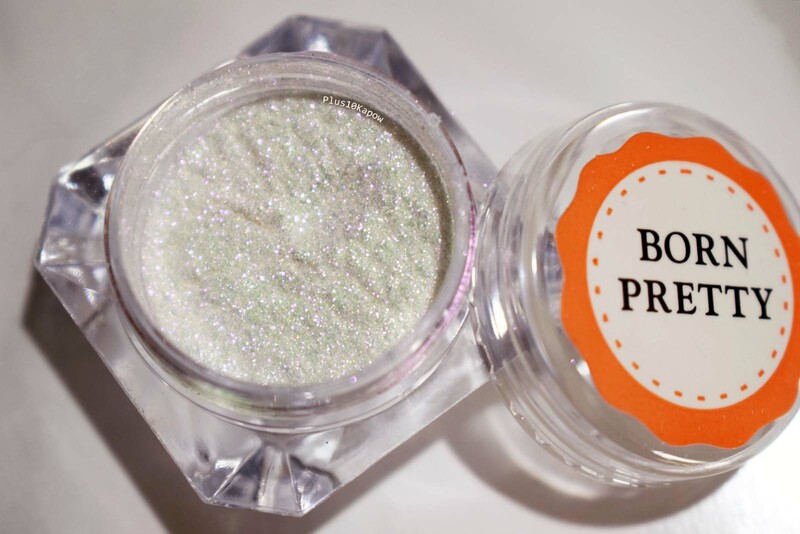 Ok, let's start this week off strong and begin with some pretty chameleon powder from Born Pretty Store with a little touch of Halloween. This powder comes in a screw lid pot and 1g of powder in it, which is plenty and you can get a good few manis out of it. You also get a double ended sponge applicator with it although you can use your finger or the rubber end of a cuticle pusher or a normal make-up sponge to apply it. It applied nicely, even with my terrible application skills, although I did need to do a double pass of application to make sure I had full coverage. I do love the transformation you get from glittery powder to a smooth chameleon finish. Of course I had to add a little bit of nail art just because I haven't really been doing any lately. 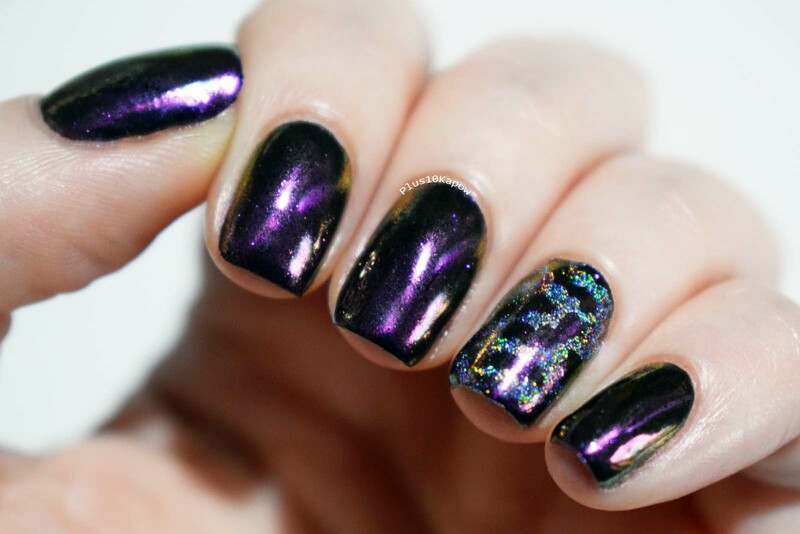 This was done using the Uberchic Halloween 03 stamping plate and Colors By Llarowe Sparkling Diamonds stamping polish. You can grab this powder here for £0.99/£1.29 a pot, there are 6 other colour variations and gold and silver holo powders. 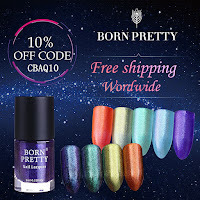 Oh and don't forget that you can use my code CBAQ10 for 10% off all non sale items.